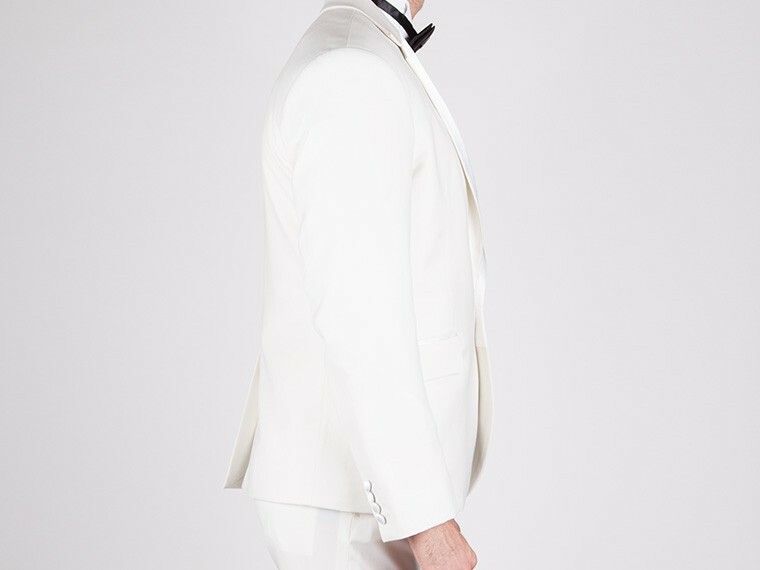 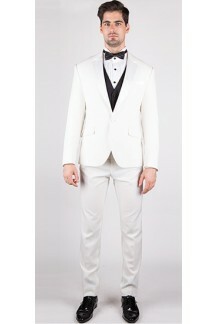 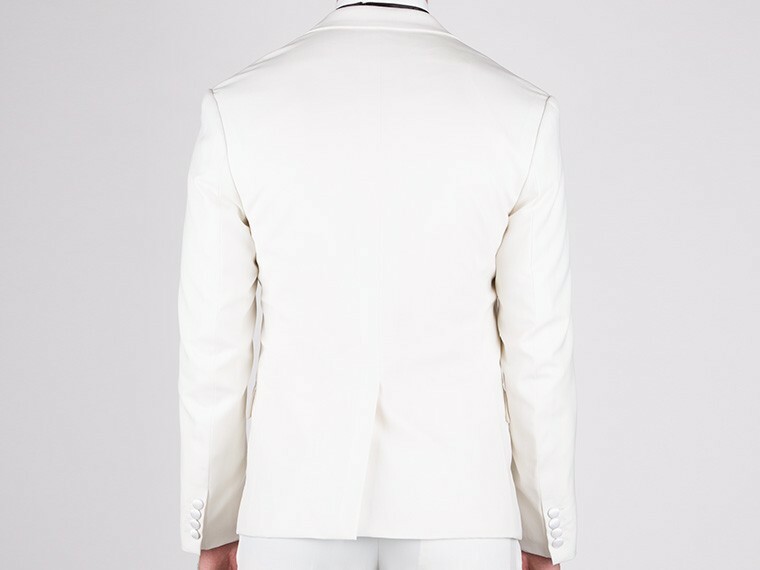 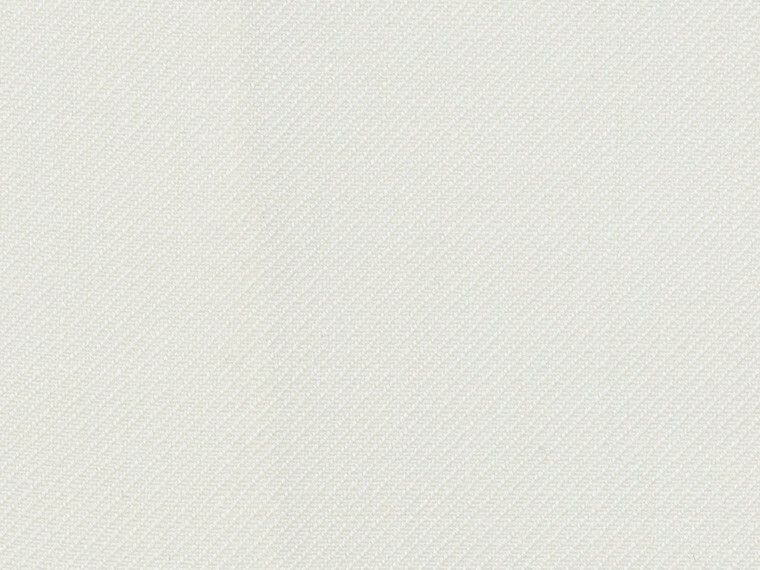 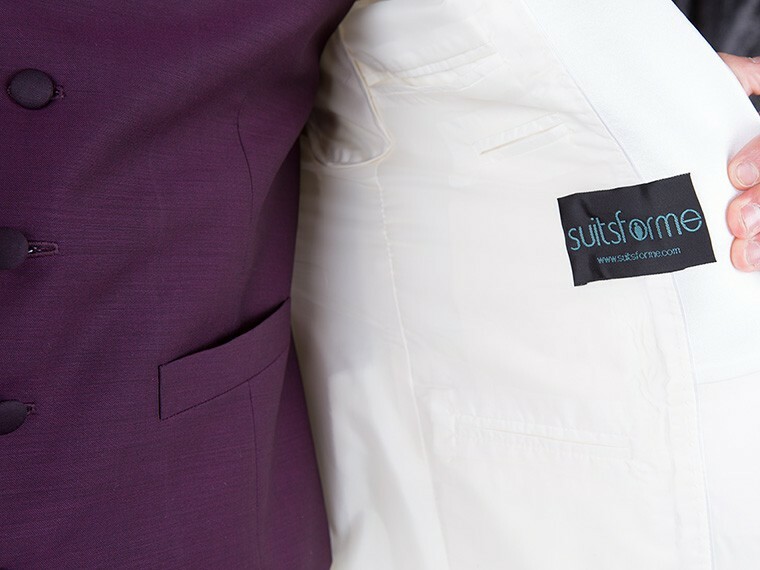 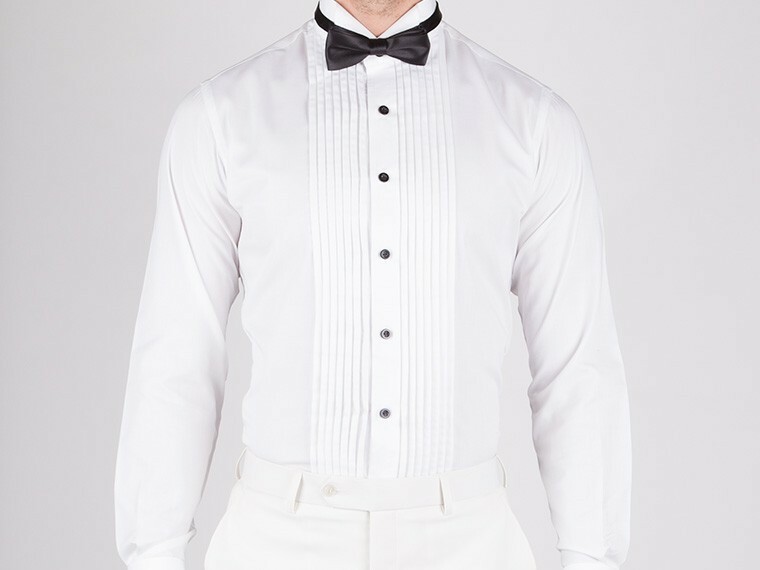 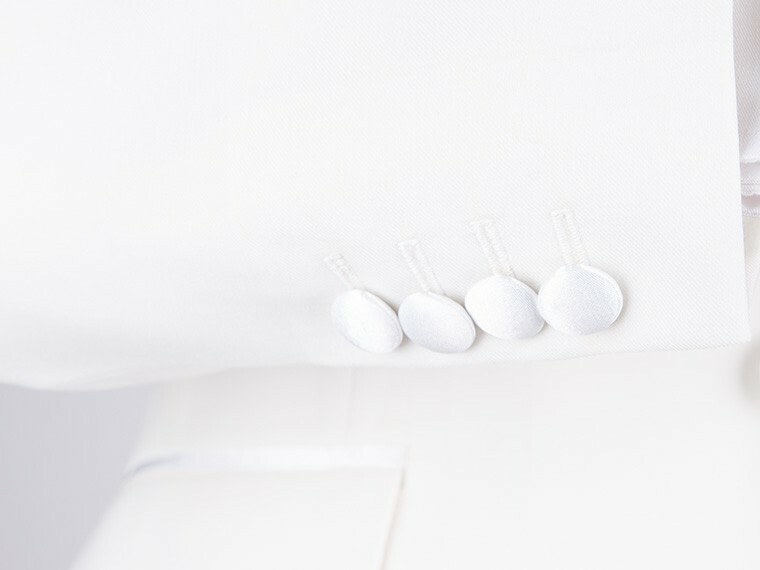 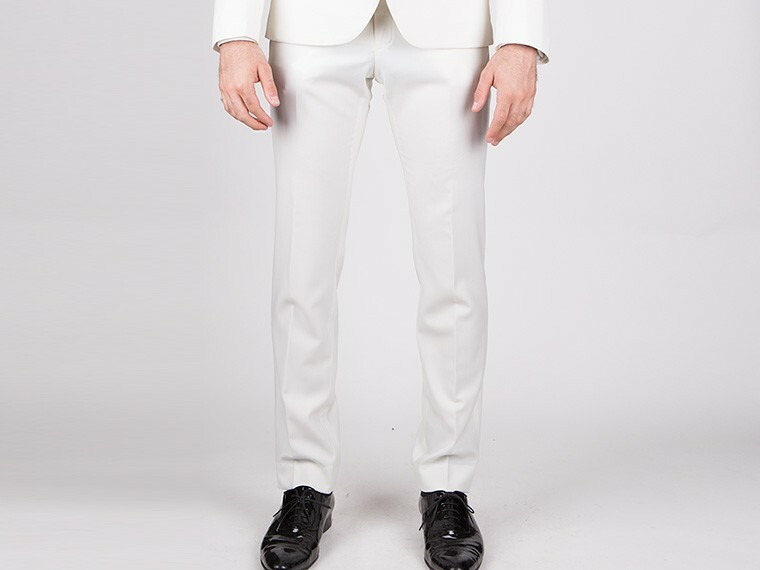 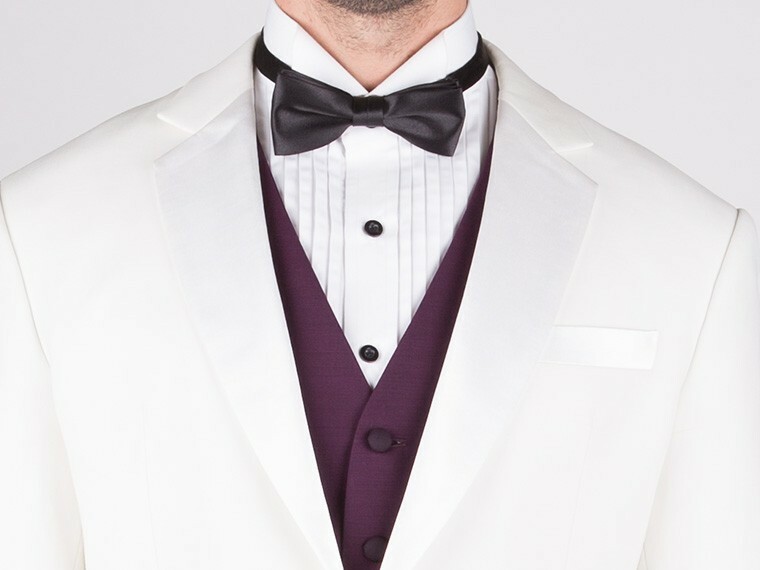 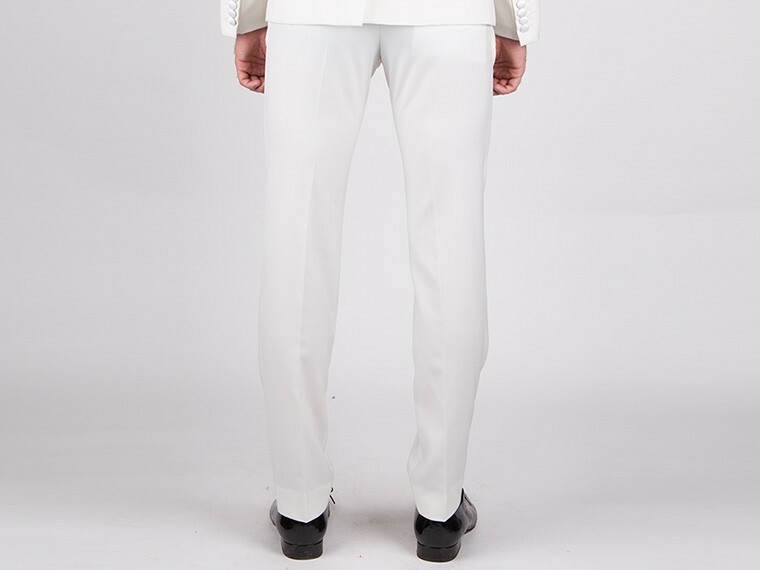 There is a warmth and vibrance to the offwhite custom Tuxedo. 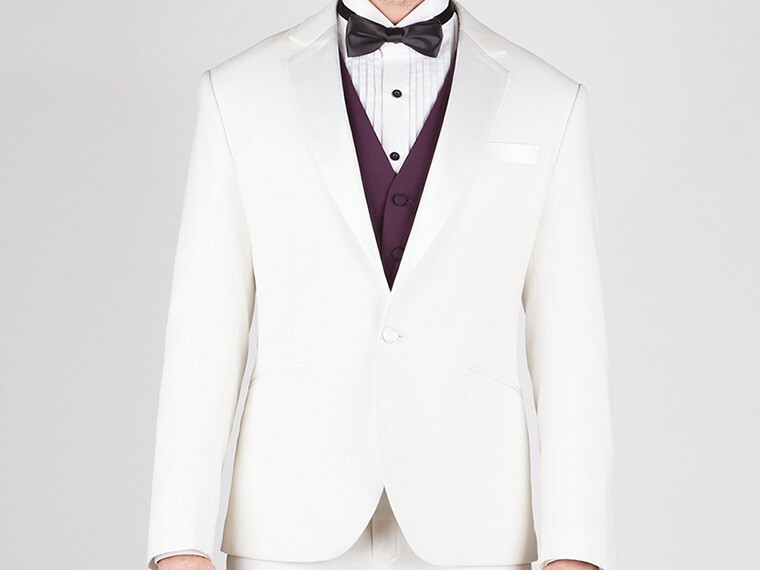 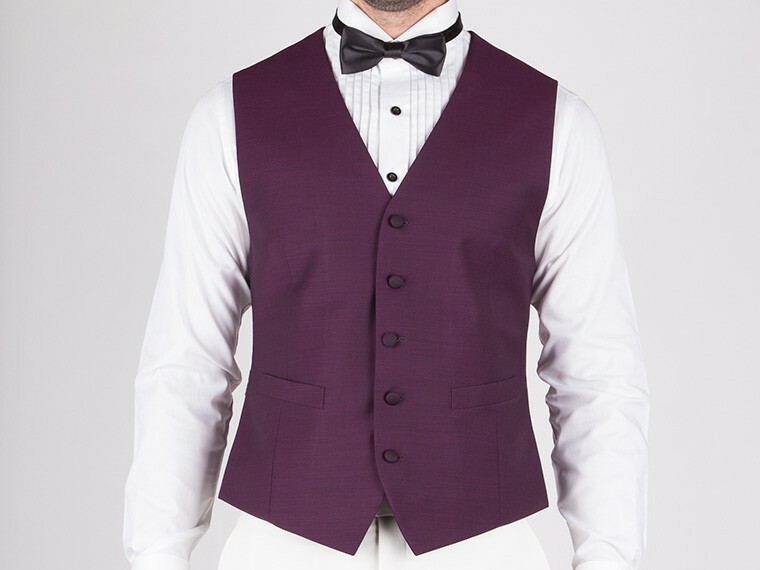 It creates a sense of youthfulness and energy, a smashing choice for men seeking to purchase a formal tuxedo in a light color. 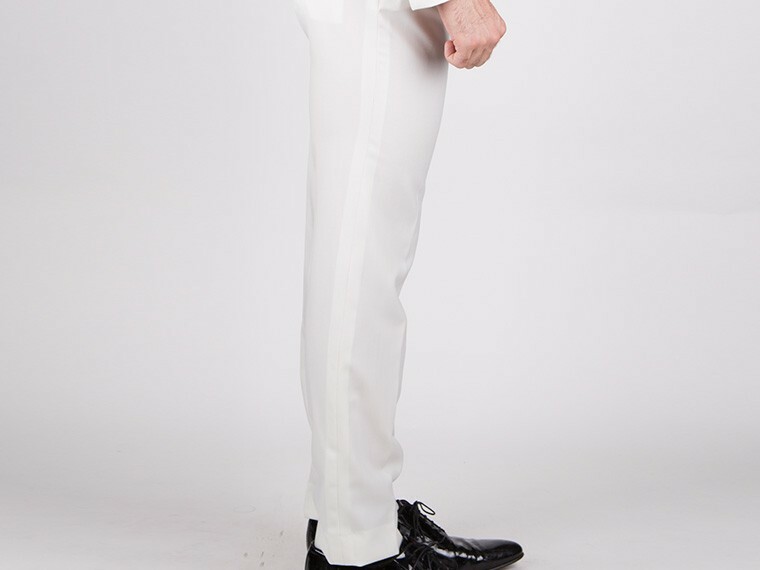 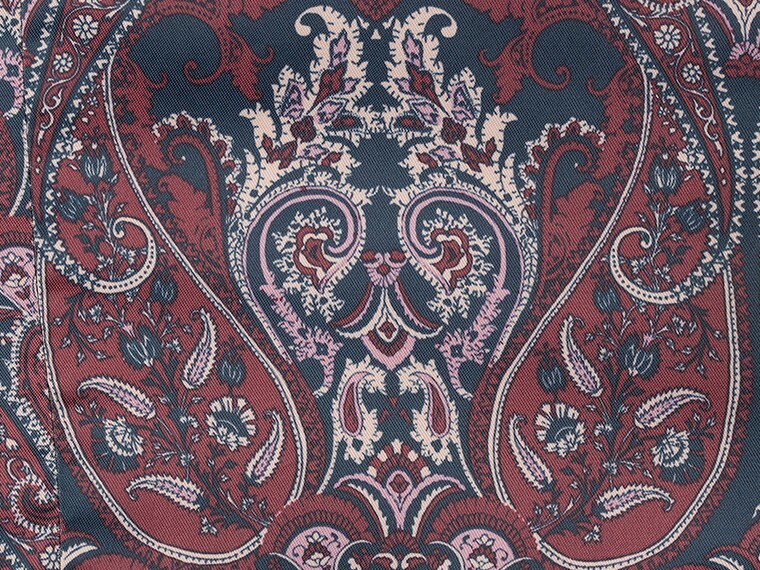 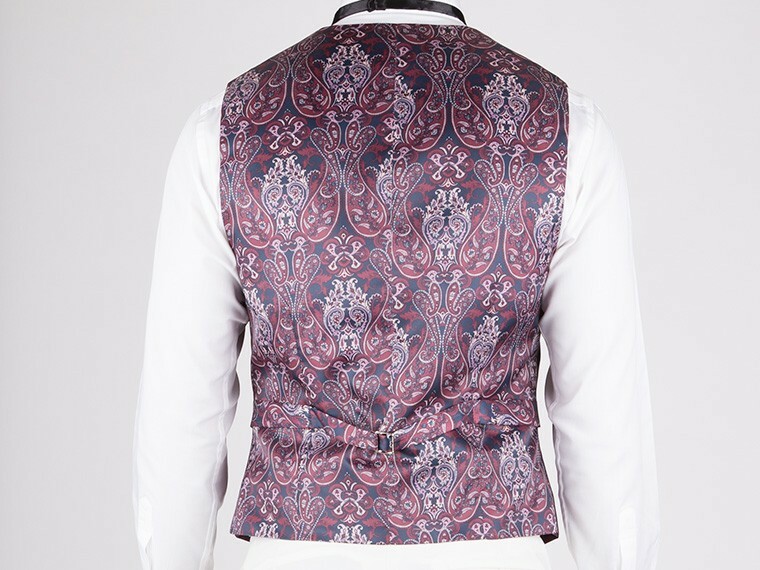 It features satin trimming on the lapel (Notch Collar), pocket besom, button and pants outseam.